Making the many legal decisions that will impact the future of you and your family during the divorce process is one of the most challenging times in a person’s life. Whether you are going through a divorce, thinking about a divorce or want to modify the results of a recent divorce, these matters are never easy. We can help. Equitable distribution of assets and liabilities: In Florida, the initial presumption is that all property and debts will be split in a fair and even way. However, every case is different and this presumption can be modified based on various facts. Sometimes a court might look at a prenuptial agreement or the financial situations of the parties entering the marriage. Either way – don’t just assume half is half is half. There is always a different viewpoint. Alimony: Spousal support is determined by one party's need and the other party's ability to pay. The amount of alimony depends on the length of marriage and financial circumstances. There are different spousal support plans, including permanent, rehabilitative, temporary and lump sum. Child custody and visitation: There are many types of custody and visitation orders. The Citrus County Divorce lawyers will find a plan that protects your rights and works in the best interest of your kids. Child Support: Florida's child support guidelines can often times be confusing. The Palm Beach County, FL Lawyers at Whittel & Melton will help you understand how child support is determined and develop a solid argument and strategy for the court that protects your individual rights and provides for your children. At the Palm Beach County, Florida law offices of Whittel & Melton, LLC we represent individuals throughout Palm Beach County in communities such as West Palm Beach, Boca Raton, Boynton Beach, Delray Beach, Jupiter, Wellington and Palm Beach Gardens. Our experience in representing Palm Beach County clients during the Divorce or Dissolution of Marriage process has been that a well-informed client will have a greater opportunity of success as the dialogue between our Divorce Lawyers and the client is that much better. Below you will find some web sites that may lend themselves to helping you during our representation of your Palm Beach County, Florida Divorce. West Palm Beach, FL 33401 | Phone: (561) 355-2996. The West Palm Beach location is at 301 North Olive Avenue, West Palm Beach, FL 33401 | Phone: (561) 355-2996. 3228 Gun Club Road, West Palm Beach, FL 33406 | Phone: (561) 688-3000. Palm Beach County Jail The main detention center is located at 3228 Gun Club Rd, West Palm Beach, FL 33406 | Phone: (561) 688-3000. 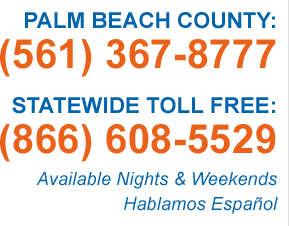 Palm Beach County Health Department is located at 1150 45th Street, West Palm Beach, FL 33407 | Phone: (561) 514-5300. Palm Beach County Tax Collector Mailing address: Tax Collector, Palm Beach County, P.O. Box 3715, West Palm Beach, FL 33402.